Are recreational and medical cannabis different? While both are products of cannabis plants, medicinal and recreational cannabis can differ in the concentrations of active ingredients. The most common active ingredients, “cannabinoids”, are THC and CBD. CBD–cannabidiol – does not affect movement, body temperature or memory on its own. May potentiate effects of THC. A 1:1 ratio for THC: CBD is recommened for managing pain1. 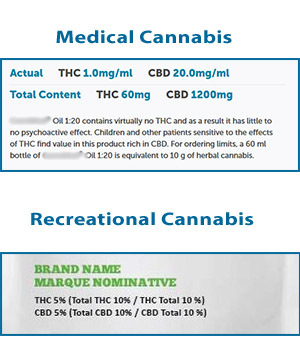 However, the concentrations of cannabinoids can be tailored to suit to medical product, as seen in the Cannimed products. How much recreational cannabis should be used to achieve a therapeutic effect? There are many other symptoms that are reported to respond to medical cannabis, however these effects have not been clearly substantiated. It is important to note that cannabis is not the first line of medication for managing symptoms. However, it may be useful in conjunction with other medications, or useful if other medications have not been helpful. For some people, medical cannabis decreases the need for opioids to manage pain. Oils – swabbed onto the mucosa of the mouth, as it absorbs quickly in your mouth and does not smell. Why use medical cannabis instead of recreational cannabis? There are many reasons a person might choose to try recreational cannabis instead of applying to use medical cannabis. In these cases, there are a few cautions to consider before using recreational cannabis therapeutically. The THC and CBD content of medical cannabis products must be clearly identified, making it much easier to know and control the amount of each cannabinoid being used. The THC and CBD concentrations of recreational cannabis may not be known, making it more difficult to know how much to use. For pain management, the recommended ratio of THC: CBD in medical cannabis is 1:1. If concentrations are not identified, it may be difficult to achieve a therapeutic effect. Cannabis products can interfere with specific prescription medications. 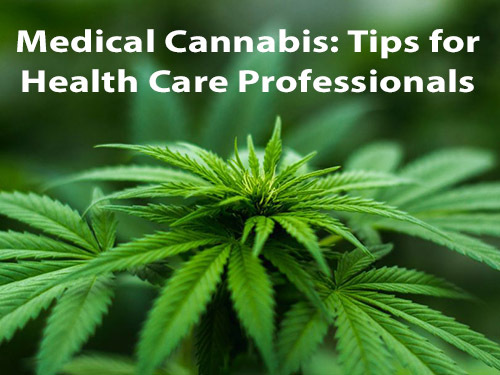 A physician can advise whether there are potential interactions between cannabis and current medications. For people who have tried many medications, or have suffered with chronic pain or symptoms, cannabis may be their one hope, their only hope, or their main hope. It is not the place of health care professionals to comment on whether cannabis might be a useful medication for them. It behooves us as professionals, to tread lightly on a person’s hopes. Cannabis will become a tool among the resources available for symptom control but may not be the cure all that many are hoping for. A useful fact sheet, provided by BC Cancer Agency, answers many common questions about medical cannabis in user-friendly language and is available for download. It may be helpful to share this with the person and family when they ask for advice about using any type of cannabis. Health care professionals interested in more details will appreciate the detailed summary on the Health Canada website, which details pharmacology, uses, and warnings. While the page was published in 2013, the information is still accurate. These webinars may fit the bill for anyone interested in learning more.